Victoria Marinova, a TV anchor from the local TV channel TBN from the town of Rouse was brutally raped and murdered on Saturday. Initially, officials said they are looking into every possible motive for the crime, including that it was connected to her work, but also made sure to express that the latter is very unlikely, in their view. 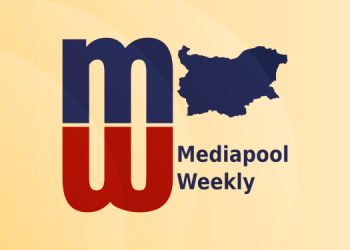 Over the last decade, Bulgaria has been experiencing a dangerous increase of both crimes against women, and pressure against free journalism, especially in cases of investigative reporting on various corruption schemes. Marinova’s last show to air was dedicated to Bivol.bg’s extensive investigative work on an alleged grand EU funds fraud scheme. The show, named “Detector”, aired also an interview with one of the two journalists from Bivol, working on the story, Dimitar Stoyanov, which Marinova had not taken herself. The latter led many to suspect that the crime might be related to the show airing the story about the EU funds’ fraud scheme. What’s more, except for a few, Bulgarian news outlets have tended to avoid the story about Bivol.bg’s reporting entirely. Speculations that the murder is related to Marinova’s job was further stirred by the fact that officials made sure to point out early on that while the investigation was looking into her work is a possible motive, it was not a likely scenario, in their own assertion. As reports continue to emerge across Europe and the globe, increasingly pointing to Marinova’s work as an obvious reason for the heinous crime, it should be noted that this has yet to be established. This is most important especially as she herself did not take the interview with Stoyanov, nor was she the producer of the show, nor did she actually work as an investigative journalist herself. The AFP news agency has cited sources saying they do not know of Marinova to have ever received threats regarding her work. At the same time, as the anchor of the show, and being the face of it, she bears a special responsibility and an affiliation with the content of the show, which makes her no less than the very embodiment of the ideas that the show puts forward. As far as the public is concerned, this is the one possible scenario. The other is that this is the consecutive victim of a vicious crime against a woman by an abusive man, likely close to her. 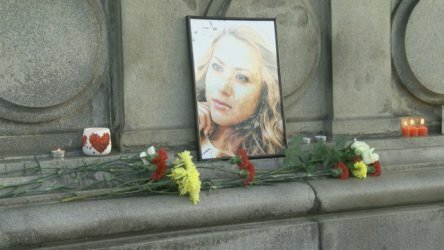 The problem of crimes against women is severe in Bulgaria. The number of crimes against women by current or former spouses or similar, which have resulted in death only this year is at least 18. Meanwhile after an extraordinary opposition on many levels – public, political, religious etc. – the Istanbul Convention, designed to target precisely domestic violence especially against women – was not only not ratified by the Bulgarian Parliament, but was announced unconstitutional by the Bulgarian Constitutional Court. The monstrous killing, in this sense, has a potentially massive symbolic – at least – proportions: either of Marinova will turn out to have been targeted as a journalist, as a woman, or both. Any of those scenarios would be evidence that a severe societal catastrophe already taken place. The Prosecutor’s Office, meanwhile, and the Ministry of Interior reassured (this time without prioritizing) on Monday that they are thoroughly investigating all possible motives for the crime. Minister of Interior Mladen Marinov arrived in the city of Rouse, as well as Chief Prosecutor Sotir Tsatsarov. The aim of their visit was to ensure local investigators that they could count on the state’s full resources in investigating the crime. “We do not underestimate any one of the possible scenarios or motives and we are working on all of them”, the interior minister told reporters in Rouse. Chief Prosecutor Sotir Tsatsarov echoed the minister and reaffirmed, following the minister’s comments. The story received almost unprecedented media attention and was covered by news outlets across the globe, while in Bulgaria public outrage rapidly stirred. Protests and vigils were organized swiftly via social media across a number of Bulgarian cities. Thousands of people came out, laid flowers and lit candles in Marinova’s memory. Numerous journalist organizations, national and otherwise, came forward not only to condemn but to demand authorities conduct a deep and thorough investigation into the crime. Members of the European Parliament also put forward statements of deep concern and called for the authorities to get results.